Global shipping generates hundreds of billions of dollars in annual sales. It makes global commerce possible. And it’s a massive and expensive hassle for small and medium-sized businesses that rely on giant shipping companies in order to serve their customers. InXpress is a global shipping franchise that helps get the same prices and customer support for small and mid-sized businesses that carriers typically reserve for Fortune 1000 companies. We earn the discounts and increased service through cooperative buying that bundles the revenues of these small businesses together. The global freight market was $700 billion in 2013, and it’s expected to grow to $1.3 trillion by 2023, according to research from the U.S. Department of Transportation and Research and Innovative Technology. 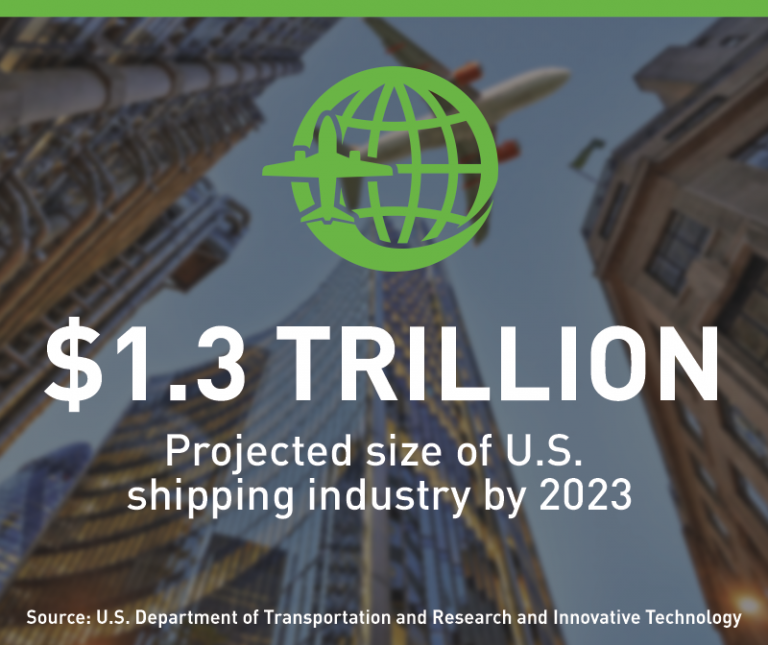 Fortune 1000 companies have resources to hire logistics experts — but what about the next 5 million companies that are have a smaller payroll and are less experienced, but that cumulatively represent a huge piece of the shipping market? National and global shipping companies (like DHL) focus a lot of their efforts on supporting large national and global Fortune 1000 companies. Like any smart business, they offer the best deals and best service to customers who provide them substantial recurring revenue. Small and mid-sized businesses don’t buy enough services to command significant price breaks or personalized attention. Yet they have the same needs. InXpress changes this equation. We operate as a buying group to bundle the collective purchasing power of thousands of small and medium-sized business. We then guarantee carriers tens of millions of dollars in business each year and negotiate strong discounts as a result — lower than any single small or mid-sized business could negotiate on its own. Franchisees call on small and mid-sized businesses, learn what they’re paying currently in shipping costs, and offer real and measurable savings to these businesses. In addition, franchisees and InXpress take on some of the customer service responsibilities, but none of the heavy lifting. Clients start saving immediately, and franchisees start generating revenue. Businesses typically agree to use InXpress on a trial basis. After a positive experience, these companies bring all their shipping business to the InXpress franchisee. This ongoing business relationship provides a valuable ongoing revenue stream to the franchisee. The franchisee continues to touch base with existing customers while reaching out to new prospects and increasing the client roster — and revenue potential — over time. Our value is easy to demonstrate: lower shipping costs and increased service and communication. B) Invest in a simple business with low overhead, no employees to start and no inventory you have to buy, yet still offers high margins, repeat customers and strong recurring revenue? Franchisees handle client sales and some customer service. The carriers handle the complex part, which is getting packages and products from point A to point B. Several franchisees have told us that before they started working with InXpress, the opportunity didn’t look real. A low startup cost, home-based business with high revenue potential? That sounds like some of the emails that get directed straight to the spam folder. That’s why we’d like to introduce you to Cathy Battreall, one of our franchisees. She lives in Jacksonville, Florida, where she has built the most successful InXpress location in the United States, despite living in a city without a major shipping hub or a first-tier international airport. She developed a passion and a knack for discussing inbound and outbound shipping needs with nearby small and medium-sized businesses. InXpress franchise owners use their sales and people skills to sign customers with InXpress and find solutions to fulfill all their shipping needs. All the complexities of shipping lie with the actual carrier; the InXpress shipping franchise merely provides the access and the discounts that come from group buying power. InXpress franchisees find the customers; the carriers and shippers literally do all the heavy lifting. Aside from being a price leader, we create high customer loyalty through simple calls and visits. Instead of talking to a call center 7,000 miles away, customers call you when they have a question. What does this mean to a customer? It means customers turn to you for professional guidance, and they build a trusted relationship with you. This reduces customer frustration and increases retention, which helps franchisees keep customers for a long time. Customer loyalty provides a base of recurring revenue that franchisees expand by adding new customers. The successful InXpress franchisee possesses a high level of determination, is highly trainable, and has a lot of self-confidence. They also have $65,000 to invest in a new business, and a strong desire for that business to be open within 90 days.